The game of golf has been played at St. Andrews since at least 1457, making it the birthplace and the center of modern golf. 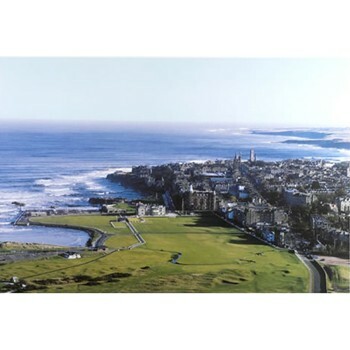 This striking aerial view of the Old Course and city of St Andrews is captured by photographer Iain Lowe, one of the world’s most respected golf course photographers. This aerial view shows the incredible integration of city, sea and links that makes a visit here a memory that's forever savored.